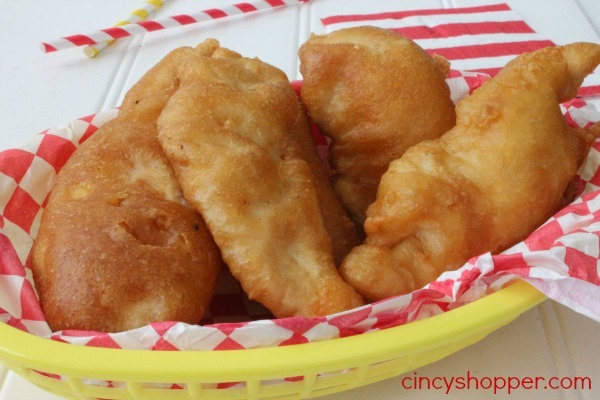 We love Long John Silvers and this CopyCat Long John Silvers Chicken Recipe is going to save us some big $$’s. We like to grab Long John Silver’s for a dinner occasionally when we receive our coupons in the mail (we patiently wait for the new Reach Magazine to arrive each month). Feeding our large family at Long John Silver’s can be quite costly. 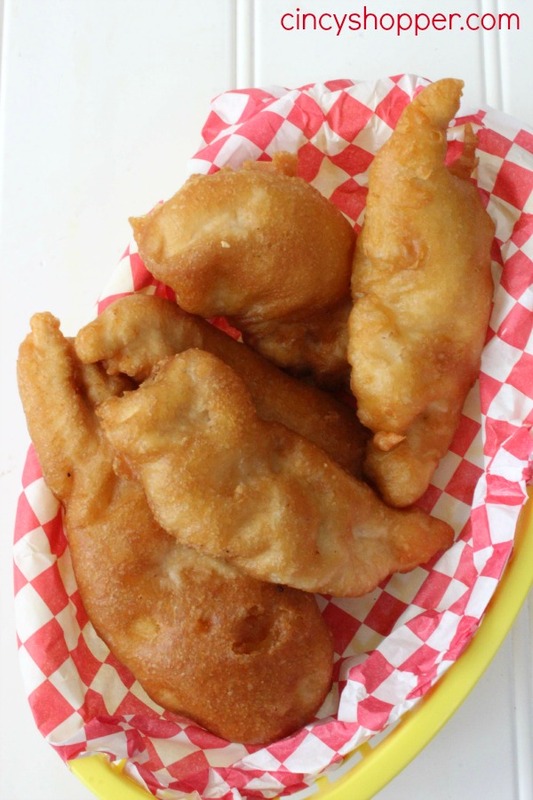 Since I have been spending time lately figuring out CopyCat Recipes my kiddos first request to replicate was a Long John Silver’s Recipe. I have been putting off trying to get the recipe down as I knew it was going to be a task. Long John Silver’s has such a unique batter that I knew replication was going to be difficult. This past week my family was wanting to eat Long John Silver’s as their “Meal from Out”. We have so many expenses coming up (a trip to NY to see family, Cierra’s prom, Quentin’s drivers ed and also a graduation party to plan) that I could not see fitting a trip to Long John Silver’s into the budget this week. Everyone was immediately depressed, lol. Yes…. they love Long John Silver’s that much. I figured it was time to take the day today and figure out the perfect recipe. 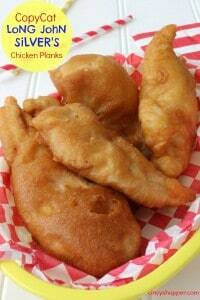 Hubby and I spent most of our morning making batches and batches of CopyCat Long John Silver’s Chicken. I think we got this one pretty darn close. So, we will whip up another batch this evening. I know the kids will be super excited to have our own homemade Long John Silver’s. If you are a fan of Long John Silver’s like we are, give this CopyCat Long John Silver’s Chicken Plank Recipe a try. Having CopyCat recipes to make at home has saved us bunches of cash. 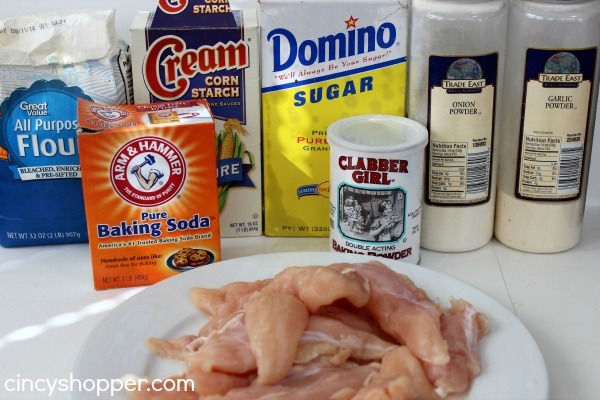 Next time you are considering grabbing food from out… Consider making a copycat at home recipe. I have shared many at home CopyCat Recipes that have been great. Check out my Recipes page for lots of great ideas and save some $$’s from your budget too. What kind of oil do you use? We have Capt. D’s here, which is similar. I heard they use pancake batter and soda water. I thought they were famous for FISH? They are! But- have you tried the chicken? It’s amazing! You will get a zillion ‘crunchy’s’ every time you fix these. I tried these and they taste great, but what is the secret so they do stick to the bottom on the pan? Are you pan frying or deep frying? If you deep fry them they shouldn’t stick to the bottom of the pan. i deep fried mine in a basket, they looked beautiful, however, when I tipped basket over to put them on serving platter, they were stuck to bottom of basket. And they do not taste like LJS. Chicken needs seasoning. These were just plain bland. Hi Momma! I am sorry that you were not a fan. I use a pan to deep fry because the batter will not set up well if it is in a basket. My family loves them, I am sorry that you did not care for the seasoning. i thought i might try it with length wise thin cut zucchini. i will salt them first to remove extra moisture and use canola oil for a quicker heat time. i just need a good frying apparatus. i love Long John Silvers for the chicken planks, hush puppies, and crispy,s. i love the fish as well. but????? oh – the batter. Oh boy, these look so perfect and we don’t have a LJS near us anymore! I used to love it and I know I’d love these regardless if fish or chicken :D Thank you for sharing this recipe with us at Funtastic Friday! It is important that you fry your fish or chicken in 100% soybean oil which can be bought on ebay. You will definitely get that Long John Silvers taste. You don’t get this specific taste from other oils because I’ve tried other oils. 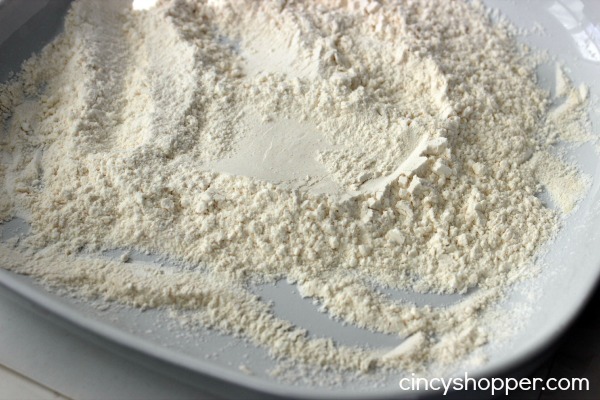 I just made me some deep fried Fish using this batter recipe. And if you want this recipe to tasted like Long John Silver’s than it is a must that you deep fry it in 100% soybean oil. Makes all the difference because other oils don’t cut it when it comes to getting the same taste as Long John Silvers. Even my house smells like the Long John Silvers Restaurant which I love to smell. When I fried my battered dipped fish today using this recipe, I used 100% soybean oil that I bought on ebay. And my fish tasted just like what you would get in Long John Silver who also use soybean oil. Even my house smelled like Long John Silvers which I really loved. I have tried other oils like peanut oil or canola oil but there was always something missing when it came to that Long John Silver taste. I fix some deep fried chicken today using this recipe and Soybean Oil which gives it that distinctive LJS taste, since it also use Soybean Oil. And it is much better than the Long John Silvers. I put the chicken on paper towels to get some of the oil out so the chicken didn’t taste greasy. However, the first batch just wasn’t salty enough so I added more salt. While there was an improvement on the second batch I still had to add more salt for the 3rd batch and the third batch was perfect. I will be adding 1 1/8 tsps of salt the next time I make it. You also need to improve your comment section.